That's not a real ad. It was created by DDB Sydney. It IS a real ad. But not a good one. The NSW Police Force wants to create pedestrian awareness in high traffic areas. 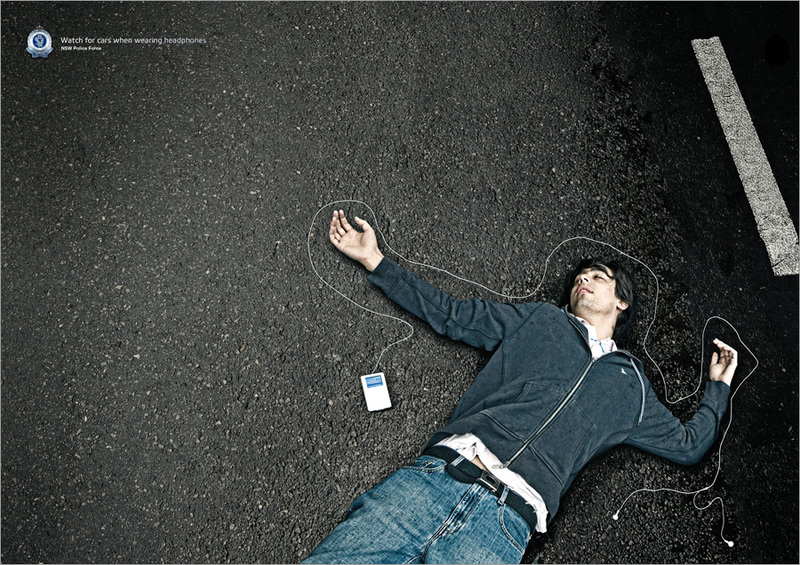 With the rise of use of cell phones and iPods, they feel people need to pay more attention to the streets and less attention to their music or conversation. The funny part is that there are VERY few pedestrian deaths actually attributed to this. The majority of deaths among pedestrians happens to people age 60+. Not so sure they are preoccupied with their iPod.